Nollywood actress Mary Remmy Njoku has put to bed. The actress and her hubby Jason Njoku welcomed a baby girl today in London UK. 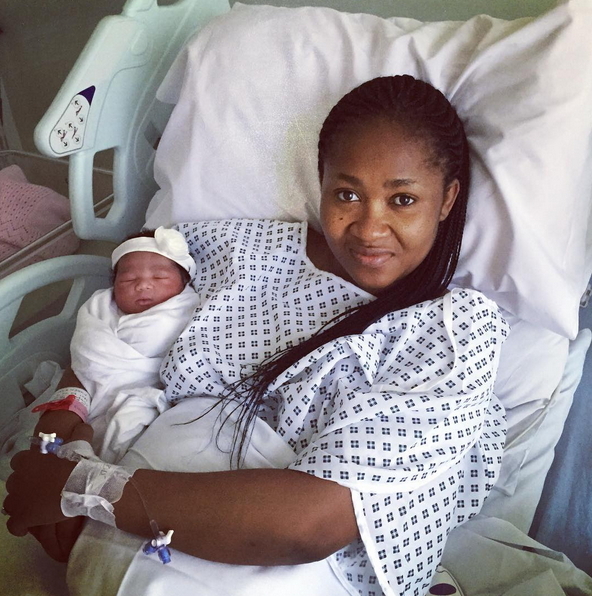 They have named her Nwakaego Njoku. Mary and Jason welcome their first child, Obinna on the 30th of July 2013. A big congratulations to the iRoko TV family. congrats mary is she still acting? Never knew she is married. And I’m not surprised that the baby is an anchor baby. Typical of Africans.